Indeterminate. Regular leaf. 79 days. AKA Kozula 14. Bred by Anna Kozula of Poland. Multifloral vines produce very tasty red cherries with variable shapes. * 10 seeds per packet. Indeterminate. Regular leaf. 79 days. AKA Kozula 14. Bred by Anna Kozula of Poland. Multifloral vines produce very tasty red cherries with variable shapes. 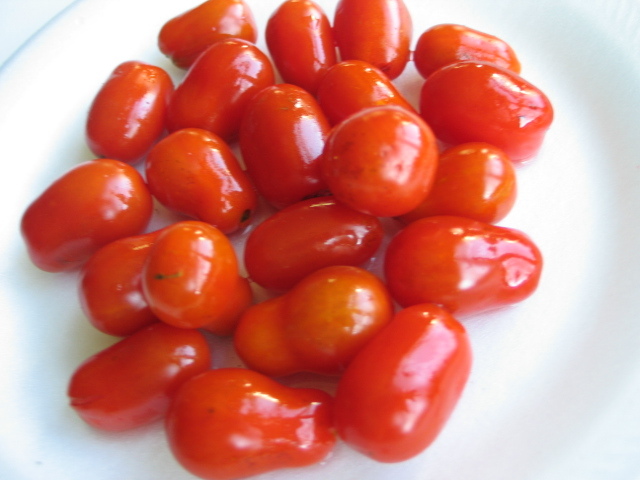 This tomato is practically seedless, so ................ * 10 seeds per packet. These little guys pack a lot of flavor and are very tasty. The flowers bunched close together also make a pretty display.